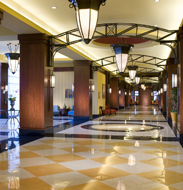 The Alabama APSE conference is scheduled for July 10 - 12, 2019 in Montgomery at the Renaissance Hotel & Spa. The event will kick off with the awards luncheon beginning at 12 noon. The event will conclude at noon on Friday the 12th. We look forward to seeing you at this year's event. This will be our first time back in Montgomery in several years. Following the electronic nomination, you will need to email support letters and/or other documentation. Please see awards flyer. Request for Breakout Session Proposals: (PDF) Please see RFP regarding this year's conference breakout sessions. You are invited to submit a proposal to present a session at this year's conference. We accept checks and credit card payments. Checks are due 10 days following registration submission. Email questions to Byron.white@mh.alabama.gov or alabamaapse@aol.com. For those who support others to prepare for, enter, re-enter, and retain or change jobs within "the world of work", Denise Bissonnette is a beacon, a compass, a teacher, a mentor, and a colleague. She passionately inspires individuals to look beyond traditional notions of career & job development and, instead, help craft livelihoods that are rooted in the individual genius of each person. With a unique ability to bring people to the "heart" of their work, Denise opens up new insights about ourselves and the people we serve. Denise has authored several outstanding publications on subjects that include creative job development, state of the art job search techniques, the cultivation of the human spirit, and how to "shine" on the job. 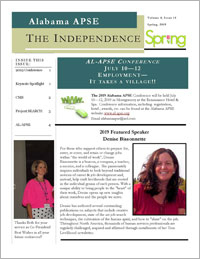 Throughout North America, thousands of human services professionals are regularly challenged, inspired and affirmed through installments of her True Livelihood newsletter. Employment First, Real Jobs, Real Wages. One in five people living in the United States have some type of disability. 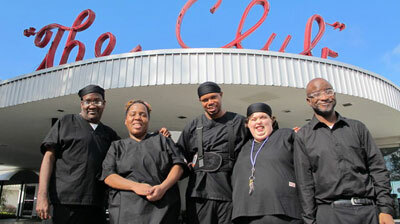 Alabama ranks near the bottom in competitive employment opportunities for people with significant disabilities. Employment First is a declaration of both philosophy and policy, stating that employment is the first priority and preferred outcome of people with disabilities.